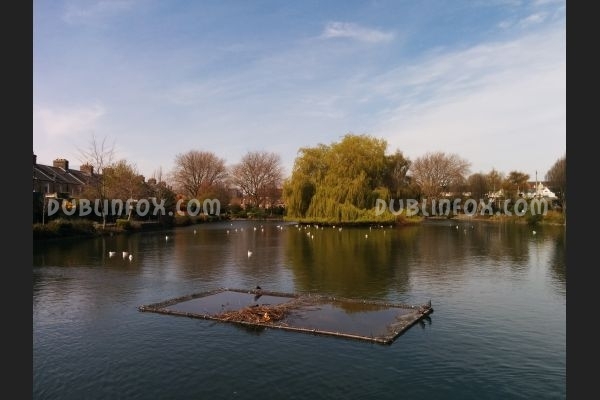 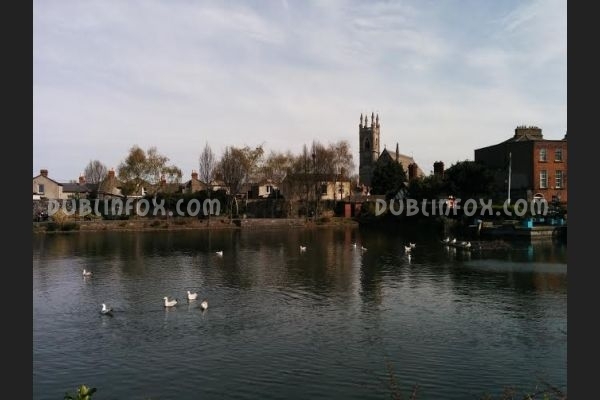 Blessington street basin is a hidden gem of Dublin, a quiet oasis in the middle of the city. 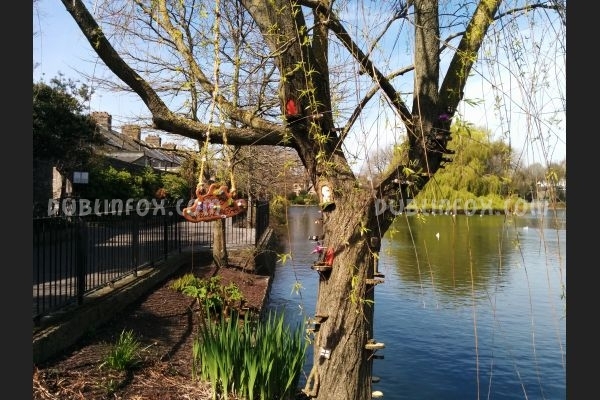 In the centre of the well-kept, longish Blessington Street Park, there is a lovely pond with a gorgeous willow in the middle. 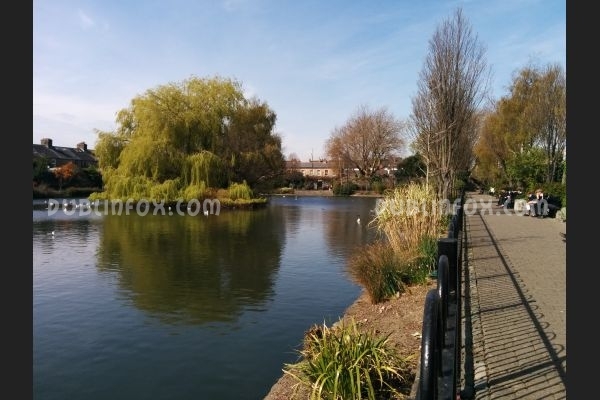 Walking around the pond does not take long, it is easily manageable with a wobbly toddler, too. 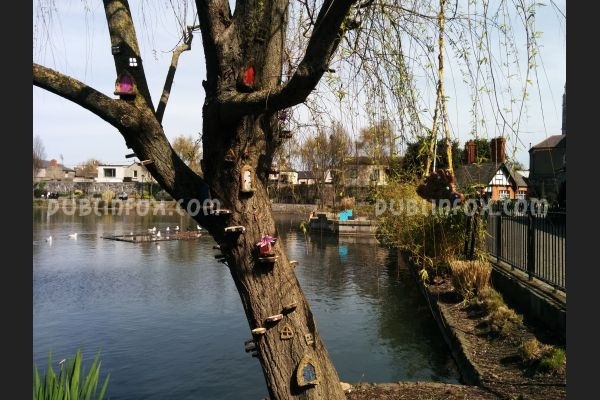 Left from the entrance, there is a charming Fairy Tree, so make sure you find it when visiting the basin. 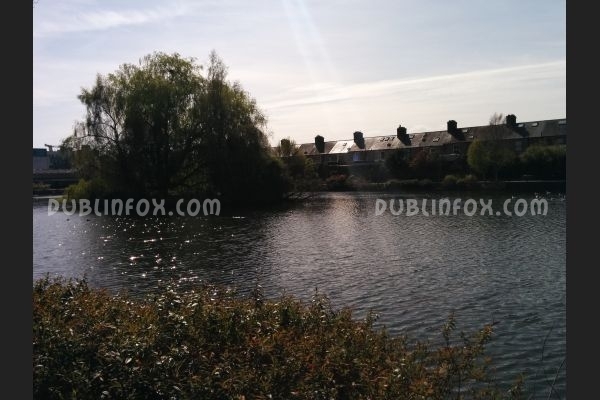 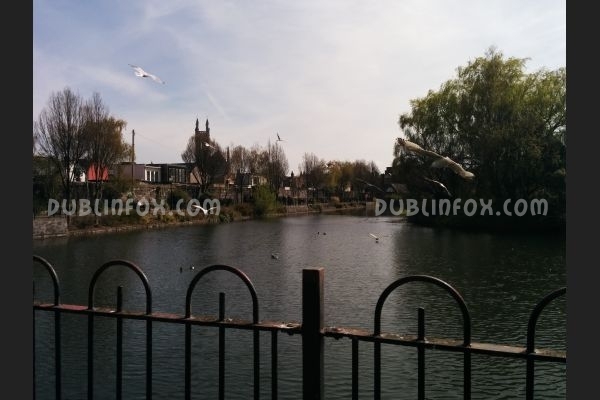 :) Next to the park there is a large playground http://dublinfox.com/show/playgrounds/Blessington%20Street%20Basin.html . 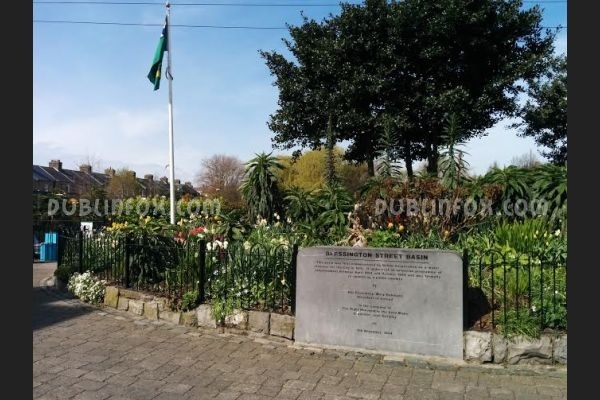 Parking is easy in the streets around the park, but note that it is a pay & display area. 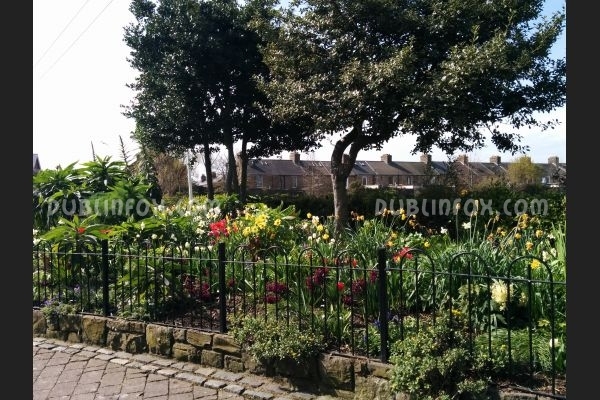 Click here to open Blessington Street Park's website in a new window.